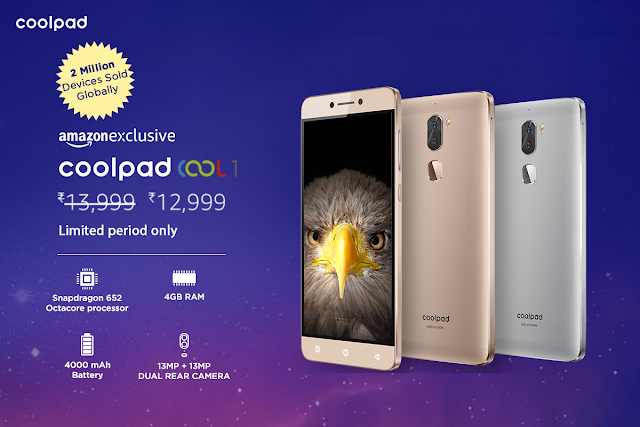 Coolpad Cool 1 Got Price Cut, Redmi3S On Stock, Limited Period Offer At Amazon. Coolpad cool 1 is one of the best and fastest mobile which got good reviews from many tech review companies. It was priced at 14000 and today for limited time it was reduced to 13000 at amazon. This is first mobile to come from coolpad and leeco combination after merger of coolpad to leeco but they may release mobiles with individual branding also.